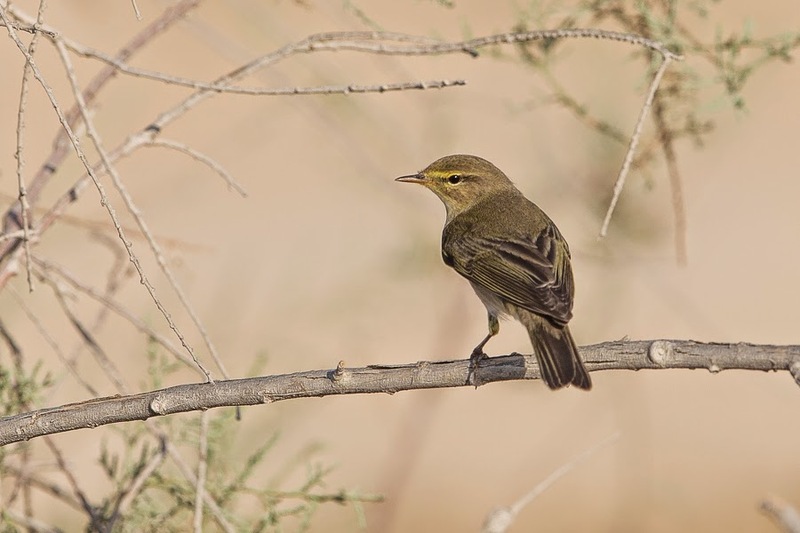 Birds have been passing through Dhahran in reasonable numbers during the past few days with an obvious passage of warblers noted with the best day being 19 May. 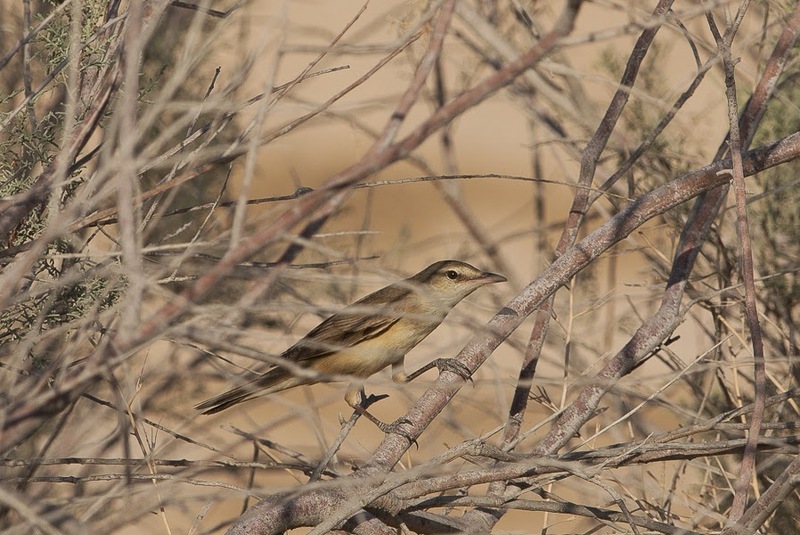 This day there were warblers everywhere with many of them out in the open feeding on anything they could find. 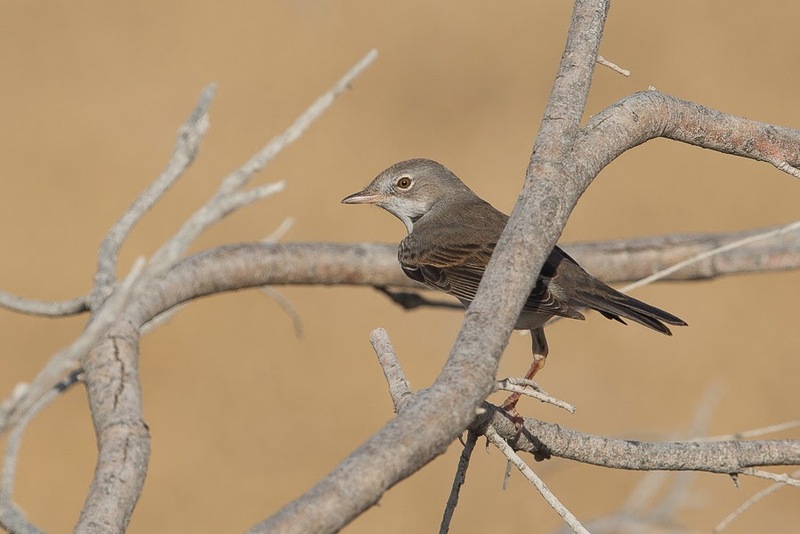 The majority of birds were Willow Warblers and Common Whitethroats of the grey-headed icterops subspecies with ten Willow Warblers seen on the wires of the settling pond alone. 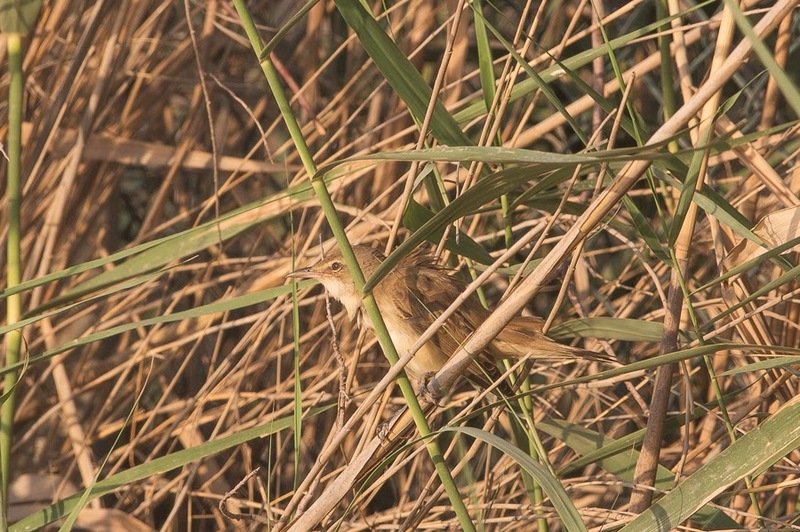 A few other warblers were seen as well including Caspian Reed Warbler, Indian (Clamorous) Reed Warbler and a Great Reed Warbler that led me a merry dance for a few minutes before I got proper views of the bird. 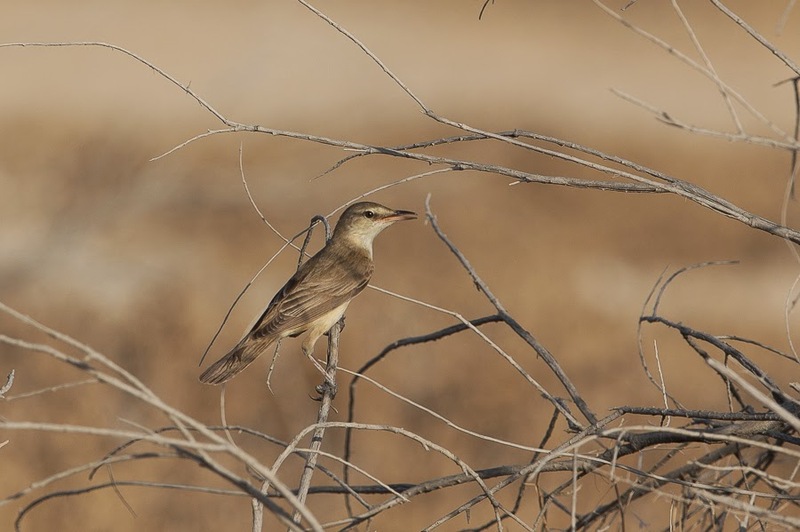 It was feeding around in small dead or dying shrubs and not really behaving at all like a Great Reed Warbler. Red-backed Shrikes are still about in good numbers with plenty of males now occurring again after a dip in numbers last week. 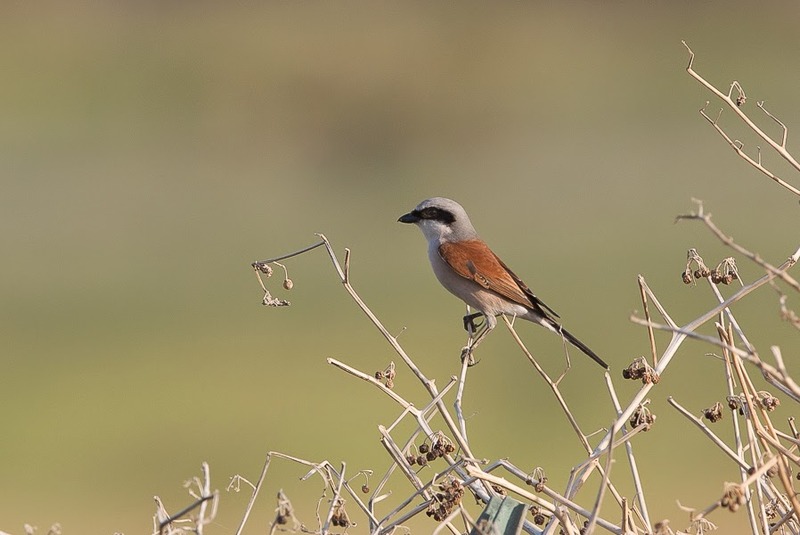 A single Turkestan Shrike was also seen on the edge of the spray fields. Plenty of Sand Martins have been passing with a few Common Swifts and some Barn Swallows but the last in smaller numbers than in previous years. A few waders are still passing as well with the best being a Temminck’s Stint on the percolation pond. 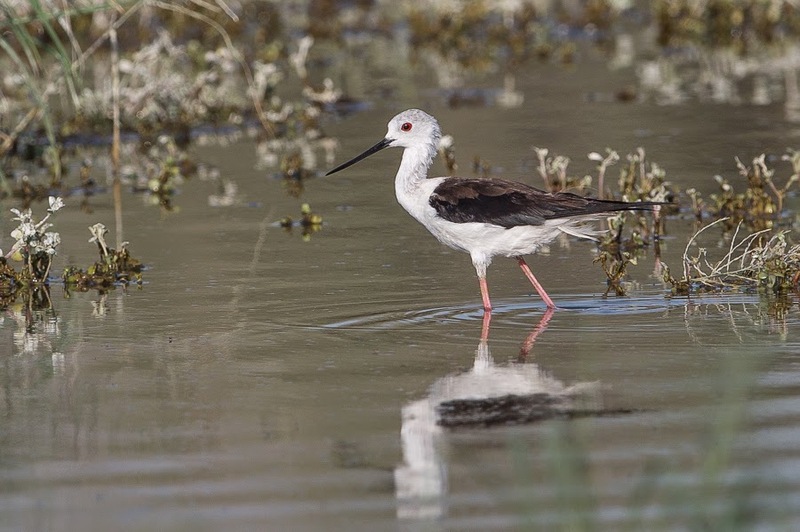 Up to ten Wood Sandpipers have been present daily and three Black-winged Stilts have taken up residence on the flooded spray fields. The only other bird worth mentioning was a late Isabelline Wheatear in the scrubby desert area.